For the sixth installment of my series on wedding details I be will featuring my favorite photos of ceremony decoration from 2008 weddings. 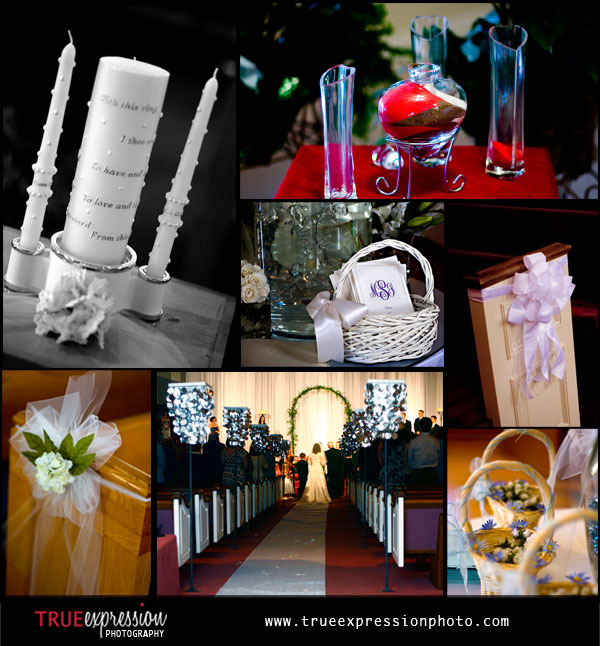 This includes decorations in the aisle and seating as well the flowers, unity candle and programs. This wedding detail series is meant to give brides some wedding planning inspiration. If you haven't seen the previous posts, make sure you also check out these posts on favors, wedding dresses, centerpieces, wedding cakes and flowers. I love the colors in the sand unity thing. Great series... the details are so important!